What is your New Year’s resolution? Protecting hair health is at the top of many people's list, and for good reason. Anti-aging medicines are all the rage. Unfortunately, men and women only research their options after aging is well underway. The purpose of such treatments, and many are still developing, is to slow down the process itself. Such treatments might actually reverse the process one day. Unfortunately, that day is not upon us just yet. Patients currently enjoy the best results the earlier they begin anti-aging regimens. Not that all is lost if aging is already obvious. Far from it, in fact. Aging can always progress more without action. A recent report from the United Kingdom House of Lords suggests that children born after 2010 have a life expectancy of 96 years (for females) and 93 years (for males). This makes understanding the nature and impact of the aging process on organs, including hair follicles, imperative. Further, the human hair follicle actually provides an ideal model to study the cellular aging process. Hair follicles are easily accessible, contain multiple distinct adult stem cell populations, and regenerate cyclically. They very well may contain the data doctors require to improve, if not revolutionize, anti-aging treatments. Current research shows that scalp hair follicles rarely last over 90 years. Males and females typically start losing scalp hair follicles at around 35. Rapidity depends on the individual and culminates in the development of classic androgenic alopecia. Hair is the only structure that cycles from a growing phase (anagen) to a resting phase (telogen), and then back into the growing period. We know that each hair follicle has a finite number of cycles. In other words, each hair follicle eventually does not re-enter the growing phase and is lost forever. We also know that the duration of the growing phase of each cycle shortens in androgenic alopecia. The real kicker is that androgenic alopecia's influence on cycling means each follicle reaches the critical number of hair cycles far faster. Hair restoration experts like Dr. Cole are looking into ways to prolong the growth phase. Doing so will reduce cycling of hair follicles. This will remedy the cosmetics and causes of androgenic alopecia. The current go-to method of hair restoration, hair transplants, only tackles the former by redistributing follicles from one location to another. As we already mentioned, androgenic alopecia depends on the individual There are general trends, though. Only 3% of men will reach a Norwood 6 or 7 pattern of loss by age 59. By 70 this percentage increases to over 20% of men. 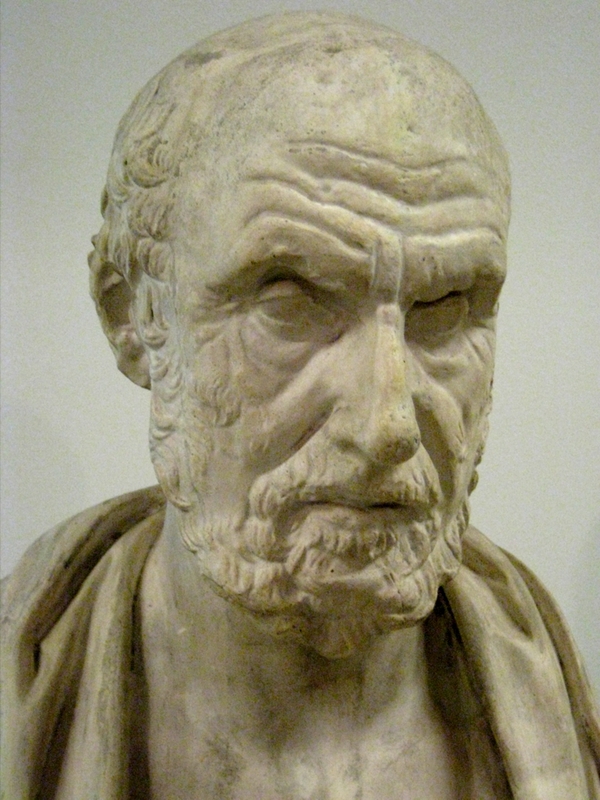 Think Hippocrates. In other words, there is plenty of time between age 40 and 70 to curb the process of hair loss. The aging process of the hair follicle results from a repetitive inflammatory phase, that professionals call inflamaging, which initiates with the onset of each resting period. Understanding inflamaging's influence on hair follicle loss is critical to further advance hair restoration treatments, if not anti-aging treatments as a whole. Below we outline the three phases of head hair growth. Follicles have permanent (the root) and impermanent (the strand) parts. The initiation of each new cycle gives rise to multiple stem cell populations in the permanent portion. As the growing phase, or Anagen phase, progresses through its six subphases many extra-follicular structures form due to the proliferation of preadipocytes, or undifferentiated cells that develop into adipocytes (fat cells). Vascular structures, as a result, also form during the Anagen phase. Adipocytes accumulate and release growth factors such as platelet-derived growth factor (PDGF). The anagan phase usually lasts anywhere from three to five years but some people enjoy this phase for up to seven years. Medical professionals refer to the onset of the hair's resting period as the catagen phase. This phase includes an immune cell-mediated cell death (apoptosis) and thereby the collapse of the vascular network as well a loss of adipocytes. This phase lasts anywhere from two to three weeks. The true resting period of a hair follicle, the telogen phase is when the permanent part of a follicle releases its hair strand. The hair follicle will not re-enter the anagen phase for around three months. The permanent portion of the follicle consists of the isthmus, infundibulum, and bulge of the hair follicle - these are all superficial structures. The lower parts of the follicle area are lost at the end of each cycle. The bulge contains slow cycling epithelial stem cells. There is convincing evidence that bulge stem cells are the source of secondary precursor cells that populate the cycling or impermanent portion of the hair follicle, making it the best area to harvest from to create stem cell suspensions. With each resting phase, destructive, inflammatory cells move into the bulge area. Studies confirm that large populations of inflammatory T-cells are in the bulge region during the follicle's resting phase. In androgenic alopecia, these occur more frequently and more rapidly. Inflammatory cells take their toll on the stem cell precursor cells over time. The repetitive inflammation process decreases bulge stem cells with each cycle. Further, inflammation leads to a loss of secondary germ cells and epithelial precursors of the matrix. Hair follicles lose trichogenic elements and gain fibrous tracts. This leads to actively growing hair follicles becoming fewer, and more brittle, over time. What Are the Anti-aging Options? Given that bulge stem cells are a critical resource for establishing and regenerating hair follicles, anti-aging therapy should aim to re-create and maintain a youthful microenvironment for hair follicles. Anti-inflammatories such as cyclosporine A (a T-cell specific immunosuppressant) can promote hair growth. Topical corticosteroids may also provide some protection. However, the primary treatments should focus on prolonging the growing phase of the follicle because the growing phase of the follicle is not associated with inflammation. Products that help promote anagen include PRP, adipocyte stem cells, follicle stem cells, methyl vanillate, finasteride, dutasteride, and minoxidil. The goal is to prolong the growing phase as long as possible to prevent the aging process that results from inflammation. At Forhair, we have seen fantastic results from topical finasteride combined with Italian minoxidil products. We know that PRP increases hair density by 50% after six months, primarily through the promotion of the growing phase of the follicle. Our very own WNT Act increases hair mass according to an in-depth study by Antonella Tosti. WNT Act is a plant-based product that acts at the gene-level to increase WNT activity. We know that WNT promotes hair growth by inducing the anagen phase. However, no product to date will restore a hair follicle once that follicle reaches its critical number of cycles. Hair transplantation surgery is your sole solution at such a point and it only goes skin deep. Starting anti-aging treatments as early as possible is imperative for this reason. Those who retain the most hair begin using hair loss and hair growth treatments before hair loss is apparent. We recommend a combination of CRP+ACell every 6 to 12 months, daily use of WNT-Act, finasteride, and minoxidil. We continue to offer the world’s best method PRP. What we call cytokine rich plasma (CRP), our protocol with sonication delivers six to eight times the concentration of essential growth factors such as PDGF and VEGF. We know that this concentrate influences hair growth, health, and thickness because 99% of scalp hair grafts resume growth at four and a half months. With standard PRP and without PRP only 40 to 50% of grafts will return to growth at four and a half months. There is next to no question that CRP is also much more effective in preventing the aging process for hair follicles. Our process of sonication is far more effective but also costly. This is likely why few other physicians choose our unique protocol at present. Few physicians were also willing to adopt Dr. Cole's namesake FUE variant, Cole Isolation Technique (CIT®), in 2002. Not for eight years did physicians in the U.S. adopt of superior version of FUE. In fact, the majority of U.S. hair transplant surgeons only began practicing FUE, at all, after substantial media coverage and consistently superior results. Nice content published that would help everyone who wants to get information about hair follicle.